Paw pads trimmed (when applicable). I only use veterinarian approved products. 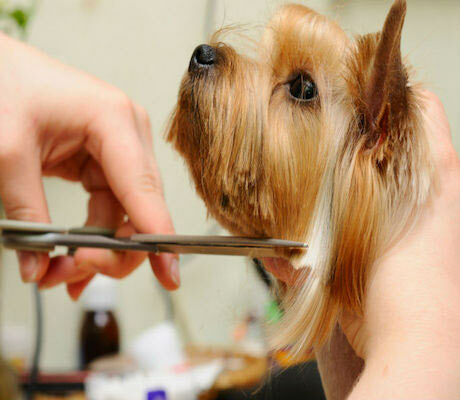 includes all "Basic Bath" in addition to conditioning and breed standard haircut. My philosophy is simple, treat your pet's as if they were mine. I love what I do and have been at this for over 23 years now. The safety and well being of your pet's while they are in my care is most important. I have no tolerance for people who treat their pet's as anything less than a family member. They are part of our family and any other thinking makes no sense to me. You have given me an important responsibility while caring for your loved ones and I feel privileged in the opportunity to groom them on your behalf.